The Beigua Geopark is a fantastic green open space that allows you to take part in every kind of outdoor sports and activities, from the seaside to the inland, for professionals and amateurs alike, for those seeking thrill and those looking to relax. In the Geopark you can find six equipped Nordic Walking trails. 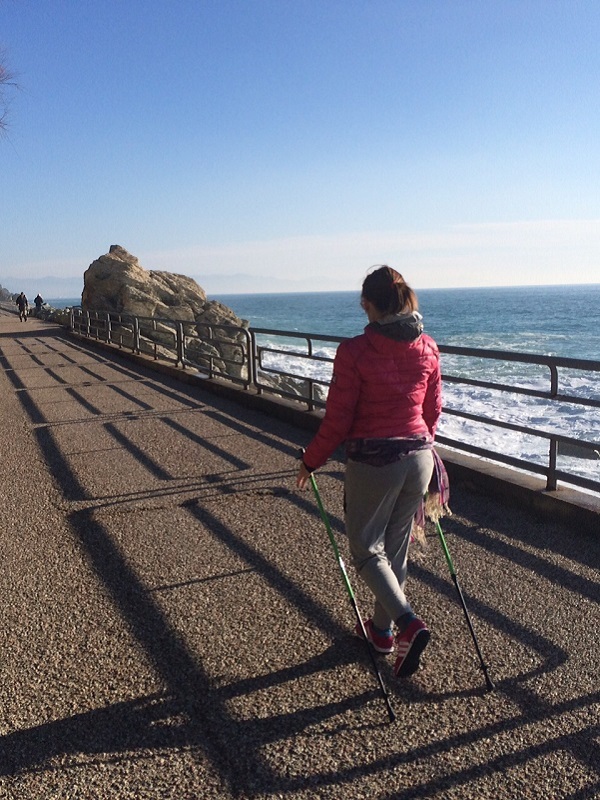 Nordic Walking is a discipline that requires specific walking sticks similar to those used for skiing. The six itineraries cover the coastline between Varazze and Voltri, the Deiva Forest ring, a stretch of the Alta Via dei Monti Liguri starting from Pratorotondo, the Tiglieto Abbey Plain ring, the Curlo-Vaccà ring on the Arenzano hills and the trail from the Masone Chapel to the Faiallo Pass. The Park has developed a free and downloadable guide and a map to help you better appreciate these itineraries. MTB enthusiasts can find every type of track on which they can challenge themselves, from rough terrains and cartroads, suitable for beginners, to steeper tracks with higher rises and drops for the experts. The tracks are feasible in every season, but during winter those that lie on the coastline are to be preferred for their low altitude. On the contrary, in the hotter months, there are many inland tracks to explore. The roads that climb up along the southern side of the steeps and the winding roads that follow the softer steeps of the Padanian side have always attracted road cycling lovers. The ascent to the Mt. Beigua is now considered one of the most renowned and well loved itineraries of the area, and it has also been a stage of the famous "Giro d'Italia" race. Another charming experience can be cycling along the historic "Via Aurelia", the roman road that follows the coastline. Two very well reported tracks on low-traffic asphalted roads are available (the Beigua Bike Routes): the ring of the "Valli del SOL" (Stura, Orba and Leira valleys) and the ring of "Beigua". 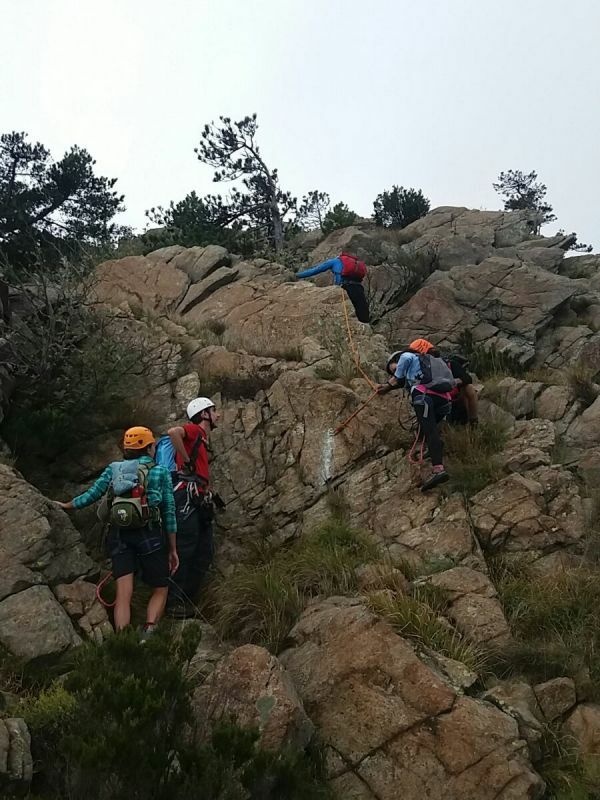 The "Torrioni di Sciarborasca" climbing site in Cogoleto and the walls of Mt. Castellaro di Alpicella in Varazze offer an alternation of rocky crests paired with overhanging rock-faces and areas rich in nature and vegetation, with varying levels of difficulties (from 3+/4 to 6b paths and paths that require several rope lengths) and different types of climbing that include the use of plaquettes, dihedrals and roof climbing. There are also many natural sites that have pitons, like the Scagiun de Lelua, the Nespoli cliff and the Mt. Pennone, with several different tracks in varying difficulties. On the ridges of Bric Camulà and Mt. Rama several alpine climbing tracks can be followed. The inland hosts high-level events such as the uphill race Alpicella-Monte del Beigua and the trail running event Grand Trail Rensen. The whole area of the Beigua Geopark is loved by local and non-local runners alike. Many training sessions are frequently held along the coastline, like on the Itinerary n. 1 (along the coastline between Varazze and Voltri, also known as the "Runners' Riviera") as well as important sports events such as the Arenzano Half Marathon. During the second weekend of September you can't miss the non-competitive free step walk "Mare e Monti" in Arenzano, a much awaited event that attracts both Italian and foreign people. 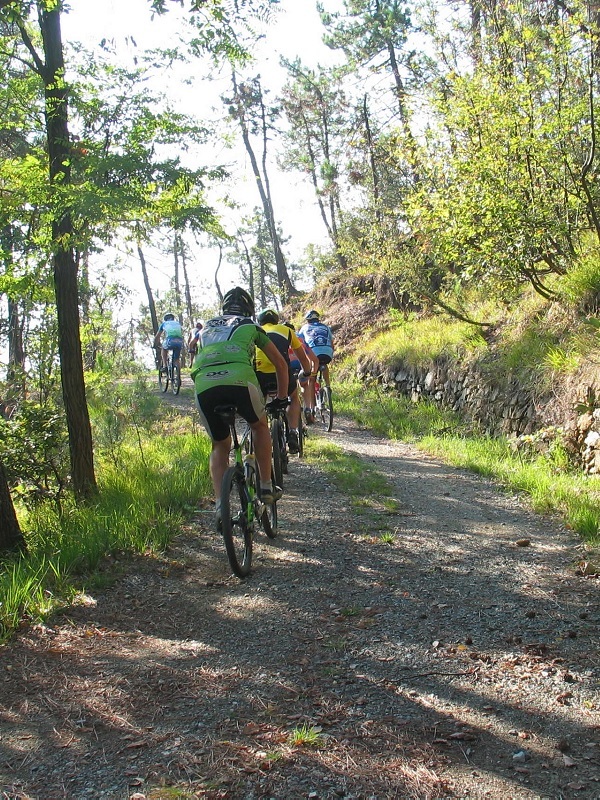 The race consists of several tracks in varying length: some follow the paths that connect the Riviera to the Apennines in the Beigua Geopark and the Alta Via dei Monti Liguri, while others follow alternative routes that develop along the coastline. 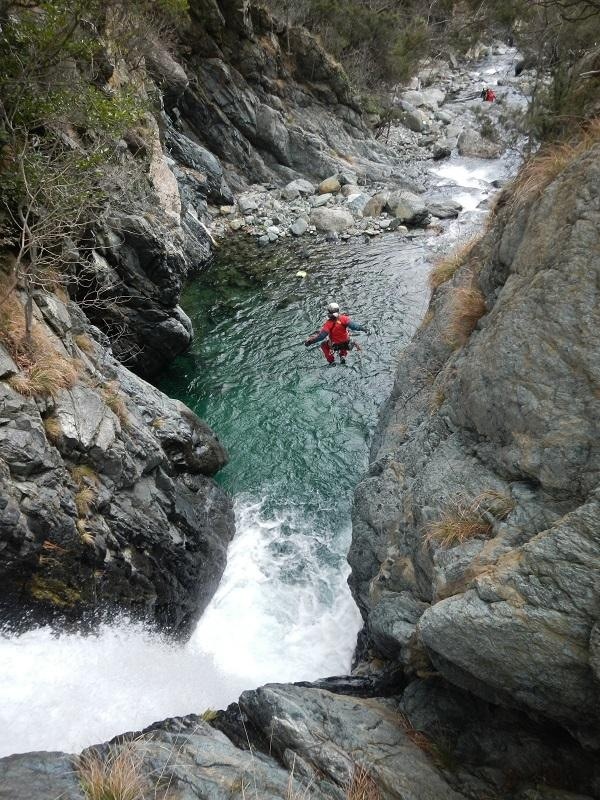 Equipped with karabiners, harnesses and wetsuits you can follow on foot or by swimming the course of a river or a creek, coming across narrow and deep-set gorges, waterfalls, rapids, small lakes and water slides. You can have it all: from the vertical and technical track of the Rio Prialunga, just above Sciarborasca, to the wonderful plunges of the Rio Lerca and the gorges of Rio Lerone. In Val Cerusa, just behind Voltri, you can face the Rio Secco descents or the waterfalls and bottlenecks of the Malanotte Gava. Alone or supported by the Geopark guides, after a big snow there's nothing better than going snowshoeing to enjoy the calm and hushed atmosphere of the woods, wonderful in their wintry charm. The downloadable map " Snowshoeing between the mountains and the sea" includes the tracks that have been identified by the Geopark staff with special trail marks: these ring-shaped paths, with different levels of difficulty, wind up between wonderful sceneries on the Valle Stura ridge, in the Sassello forests or on the Alta Via dei Monti Liguri. In certain reception structures, the Beigua Geopark has activated a snowshoe rental service during the winter season. You can also experience wonderful orienteering races in the woods. Arm yourself with a map and a compass and then go searching for the control points or "lanterne", the typical key points of the orienteering activities using specially designed topographical maps of Mt. Beigua and the Faiallo Pass. There are also urban tracks for the less expert in the Negrotto Cambiaso Villa in Arenzano and the Duchessa di Galliera Villa in Voltri, and in the Voltri and Masone historical centres. The ample open spaces are the ideal scenery for trails and excursions on horseback. You will discover the wonderful nature of the Beigua Geopark, coming across woods, high altitude meadows and stunning rural landscapes. The marvels of the coastline can be admired while snorkeling with mask, flippers and mouthpiece, discovering the extraordinary underwater world in this little paradise. Expert scuba divers have the chance to dive and explore stunning seabeds, interesting biological and geomorphological sites, and the wreck of the oil tanker Haven, the biggest wreck that can be visited in the Mediterranean, which lays in front of Arenzano. In Arenzano there's also an underwater scuba gym, created to train safely or test equipment at non-challenging depths. For surf lovers, Varazze has some of the best waves in the Mediterranean and has six quality spots for expert surfers.